When the Capital Gazette was attacked on Thursday in Maryland, newspaper offices across the country watched in horror while reporting the news. For many, including Los Angeles new outlets, revved up law enforcement efforts and private security took over. According to The Los Angeles Times, the LAPD added patrols as “a precaution and ‘reassurance’” at local news outlets. AEGIS Security & Investigations is a Los Angeles based security firm that is licensed and insured to provide high-end armed and unarmed regular and temporary off-duty police officers, bodyguards, security officers, loss prevention agents, and hostile termination support. Additionally, we offer private investigation, consultation, skip tracing, and background investigation services. Our security training and active shooter workshops have been featured in news media and are renowned for their effectiveness and transparency. For more information or to contact us, visit www.aegis.com. We offer numerous corporate training solutions including workplace violence, active shooter response and emergency response. We specialize in high-end, customer service-focused security, investigative, training, and consulting solutions. Since our inception in 2007, our goal has been to meet and exceed our client’s expectations. Our goal is to provide a high return on investment by providing high quality, efficient, and effective services, exceeding our client’s expectations. AEGIS provides instruction in workplace violence, active shooter, pre-incident indicators and target hardening in addition to providing California state security certifications. Our training exceeds the industry standard by addressing real world issues in response to current events and trends. This responsiveness is how we differentiate ourselves in what we call, “The AEGIS Difference.” We design and implement programs based on our client’s hierarchy of needs. You can learn how to protect yourself, your loved ones and your business by enrolling in terrorism and workplace violence awareness training such as those offered by AEGIS Security & Investigations. In looking to develop a workplace violence cross-functional risk management team, the Security Executive Council recommends developing it from multiple angles. Think about how your HR, local law enforcement, current policy-makers and trainings inform the issue of workplace violence. Add training to these elements to enhance your team’s understanding of the security risks and methods of prevention. When working with experts like those of AEGIS, consider the topics you want to include in table-top exercises during the training as well as in your own meetings. We will provide a list of those applicable to your needs and work to develop a training that suits your specific circumstances. Participants will learn proven techniques on how to survive an active shooter taught by a security expert and professional instructor. This training is designed for civilians and private sector professionals to increase their personal resiliency and the likelihood of surviving an incident before the police arrive. By the end of the lecture, participants will have a thorough understanding of how active shooter incidents evolve by interpreting their individual threat profiles. Additional topics include: how to escape during an incident, how to barricade and lock down, how to report to law enforcement, and how to fight back using improvised weapons, if absolutely necessary. The second level workshop includes all of the “How to Survive an Active Shooter” program elements. In addition, case studies will be reviewed, prevention measures will be taught, and signs of impending violence will be discussed. Pre-planning, strong attention to detail, and environmental situational awareness is stressed. Additional information regarding statistics pulled from FBI and related reports will be discussed to support developing the threat profiles for the participants in their workplace. The third level workshop includes all of the above while introducing topics including target hardening, crime prevention through environmental design, root cause analysis, and deployment plans. International and domestic terrorism as well as individual actors and lone wolf sympathizers are are analyzed along with the eight signs terrorism will be discussed. This workshop is designed for top level directors and executives interested in adapting their current security programs to the prevailing threats in the world today. Following the workshop and guided discussion, other staff may be invited to the run, hide, fight active shooter and prevention modules. The live fire demo/drill adds on to any of our active shooter programs. It includes live fire exercises using realistic simulated weapons and “bad guy” role players. Students will learn how to deploy the concepts taught during their active shooter program in an environment that will test their skills and thought processes, challenging them to react faster under stressful situations. Participants will experience simulated scenarios in their own environment (school, workplace, etc) in which they will be forced to think on their feet using the tools and techniques they’ve learned to survive when the bullets start flying. This kind of training is as real as it gets. This program is modeled after our one hour live lecture + live fire demo and has been expanded to include additional information regarding pre-incident indicators, workplace violence, and terrorism. It has been adapted for a unique immersive online delivery that challenges participants to make split second decisions that could be the difference between life and death. Participants will learn proven techniques on how to survive an active shooter taught by a security expert and professional instructor. This online active shooter training is designed for civilians and private sector professionals to increase their personal resiliency and the likelihood of surviving an incident before the police arrive. By the end of the online course, participants will have a thorough understanding of how active shooter incidents evolve by interpreting their individual threat profiles. Students will learn how to deploy the concepts taught during this online active shooter course in a simulated environment with gunmen that will test their skills and thought processes, challenging them to react faster under stressful situations. This kind of training is as real as it gets, particularly in an online format. This online active shooter training is designed for individuals from the public and private sector. The goal of this training is to establish a baseline reaction as a victim to active shooter incidents, retrain the instinctual reactions, and offer practical solutions to countering the threat. Participants will be required to in good health and to sign a liability and medical waiver prior to participating in this workshop. Talk to your employer today about securing training for your workplace. 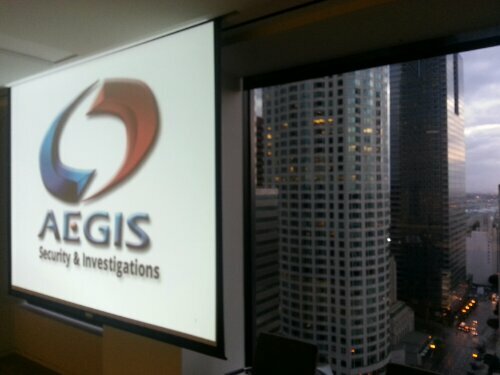 For more information about AEGIS Security & Investigations, Inc., visit www.aegis.com. 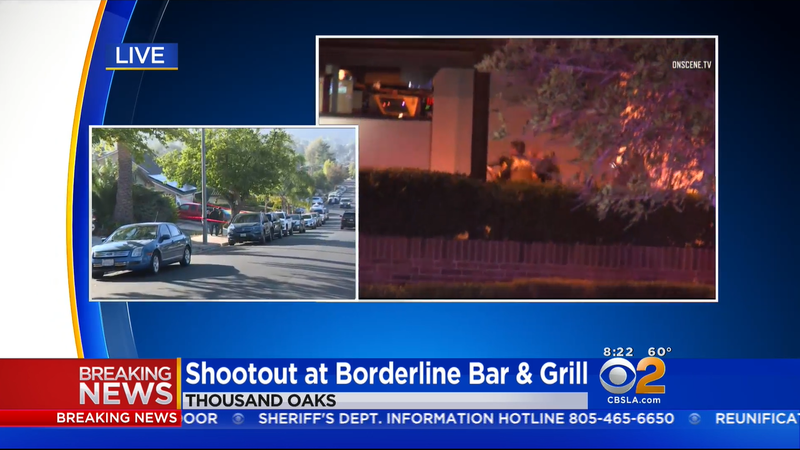 Borderline Shooting – What Happened & What Can You Do? Trump Said Armed Guards are Needed in Jewish Temples & Schools. Is He Right?